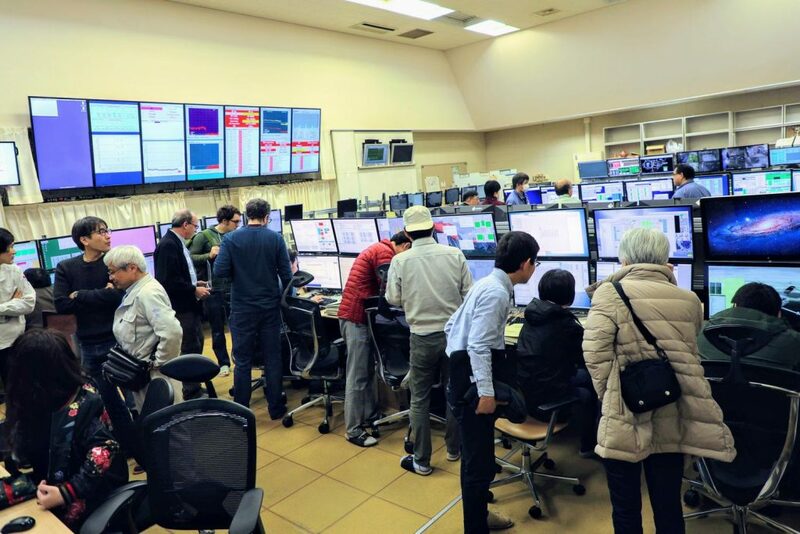 On March 11th, 2019, Phase 3 operation of the SuperKEKB/Belle II project began successfully, marking a major milestone in the development of Japan’s leading particle collider. 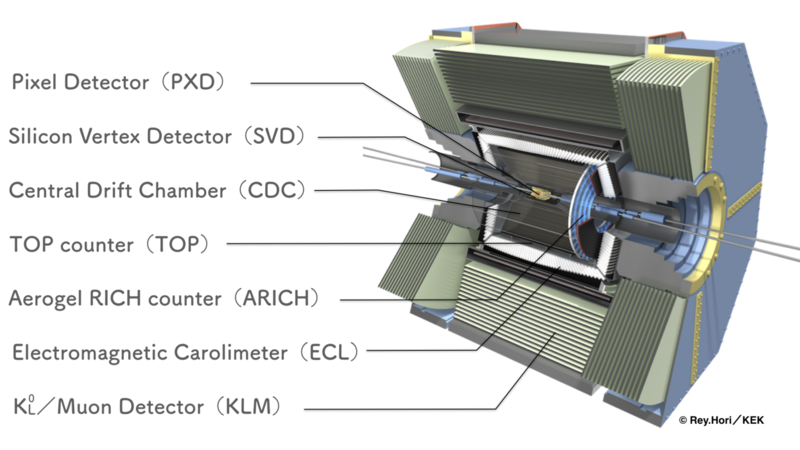 This phase will be the physics run of the project, in which the Belle II experiment will start taking data with a fully instrumented detector. 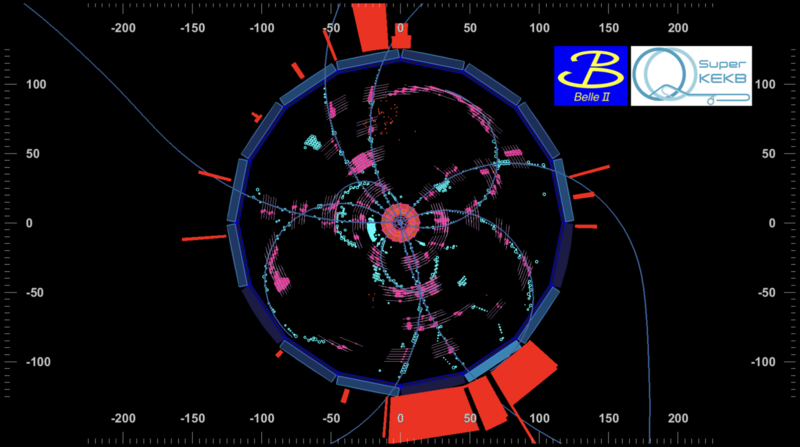 The KEKB accelerator, operated from 1999 to 2010, currently holds the world record luminosity for an electron-positron collider. SuperKEKB, its successor, plans to reach a luminosity 40 times greater over its lifetime. 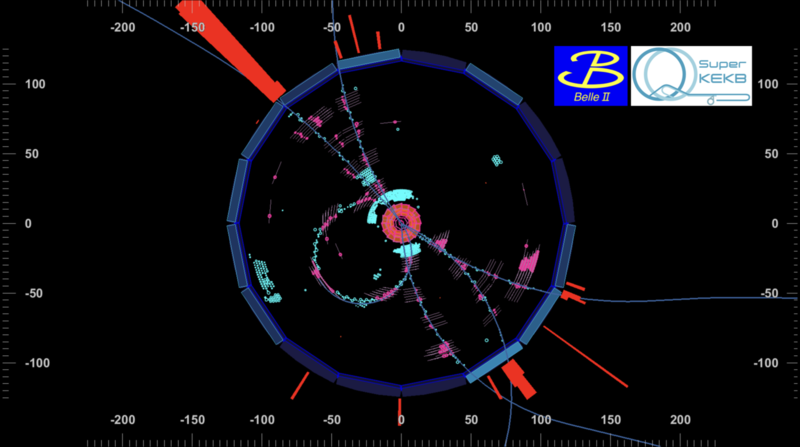 Belle II aims to accumulate 50 times more data than its predecessor, Belle, and to seek out new physics hidden in subatomic particles that could shed light on mysteries of the early universe. “Finally, the time has come. We would like to continue our efforts to discover unknown phenomena and new particles” says, Assistant Professor Yuji Kato, KMI/Nagoya-U. The team at Nagoya University led by Prof. Iijima, the director of the center for experimental studies, KMI, and also the leader of the World Research Unit for Heavy Flavor Particle Physics, is one of the largest group in the collaboration, and plays leading roles in various aspects in the project: construction and operation of a particle detector, called “TOP counter”, newly developed by the group, development of data handling methods using the high performance computers at KMI, and data analysis to find new phenomena. 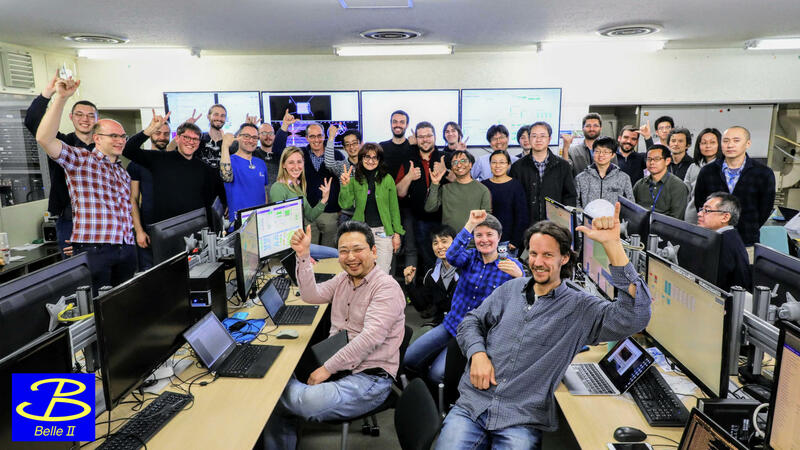 At 7:44pm (JST) on March 25, 2019, the first collisions in Phase 3 (the Belle II Physics Run) have been recorded with the fully instrumented Belle II detector! “We have just started knockin’ on doors one after another behind which new physics may stand (Kodai Matsuoka, KMI’s associate professor)”.